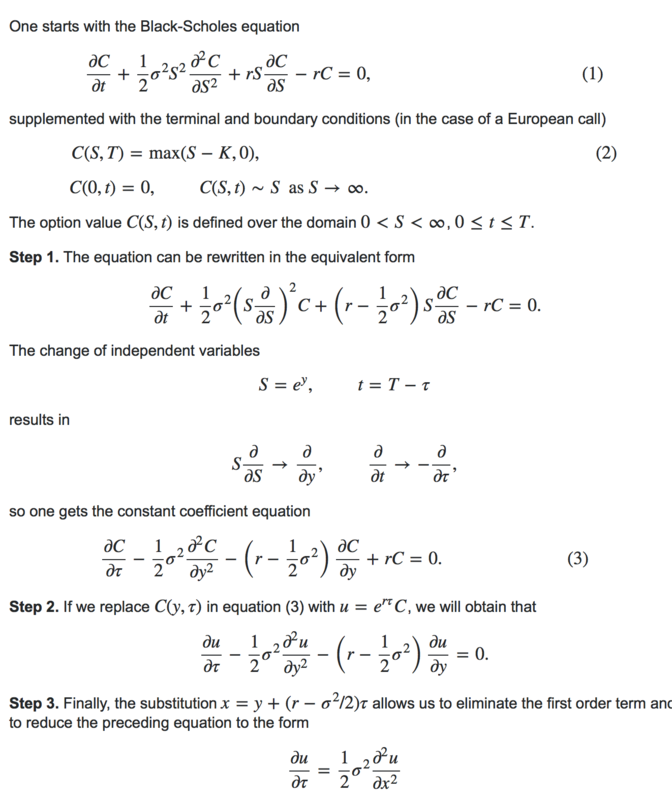 In the derivation below, I cannot figure out how to solve for "Step 3". Can anyone help me walk through the steps in detail? Browse other questions tagged black-scholes black-scholes-pde parabolic-pde or ask your own question.